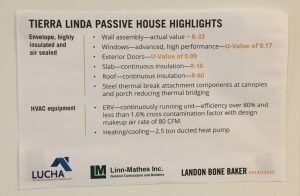 November 8, 2018 - Sto Corp.
A leading affordable housing developer in Chicago, has just built the first multi-family Passive House in the state of Illinois. The landmark project in the Humboldt Park neighborhood has been certified by PHIUS -- the Passivehaus Institute organization in the U.S. – with a projected energy savings of 90% over conventional construction. The StoTherm® ci and StoColor® Lotusan® were used to ensure that the building envelope met the PHIUS certification standards.